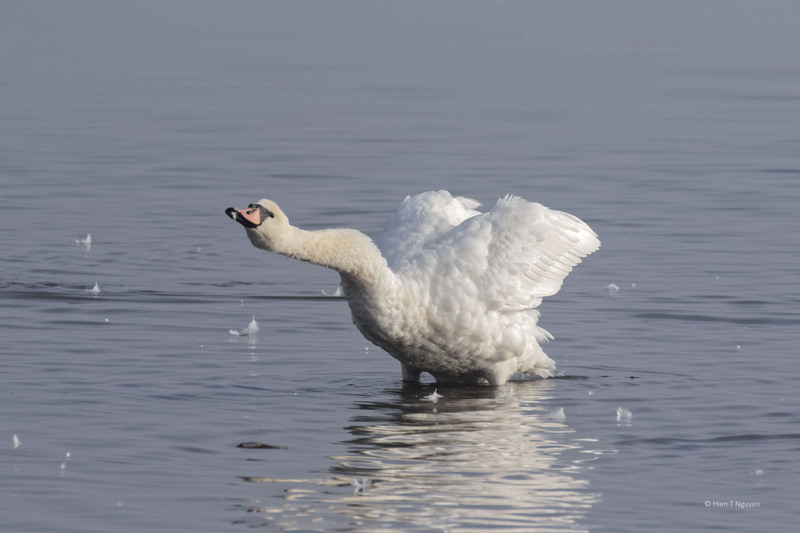 Here are some more photos of the swan that conducted from the marshes at the refuge. 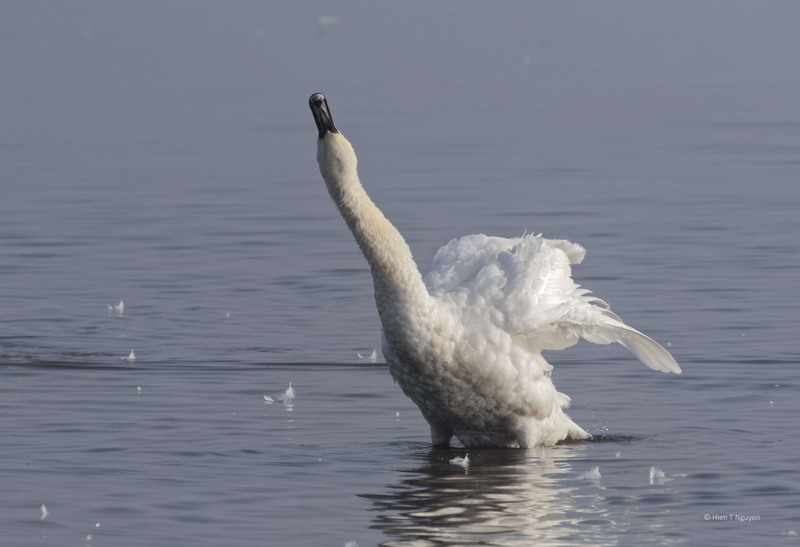 It spent a long time preening, diving into the water, splashing around, and must have ended with a thorough washing of its entire body. 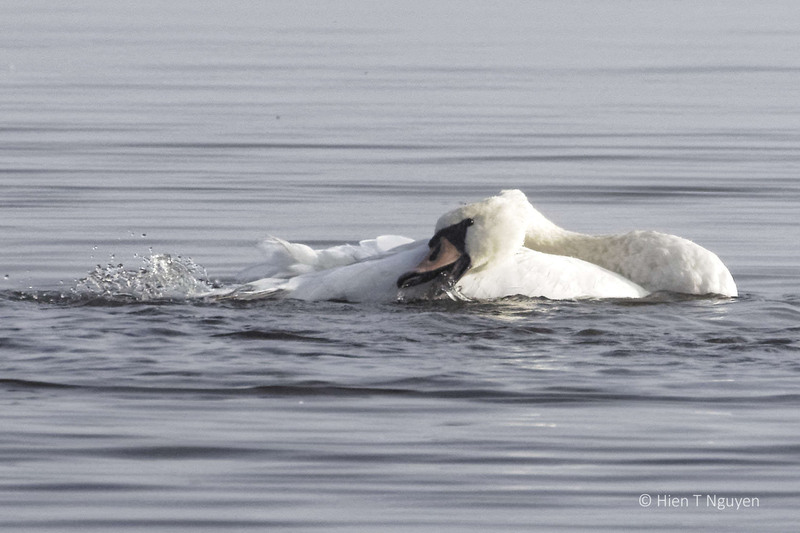 Incredibly beautiful shots in action,Hien!Great the performance of the Mute Swan and the photographer of course! Thank you Doda! 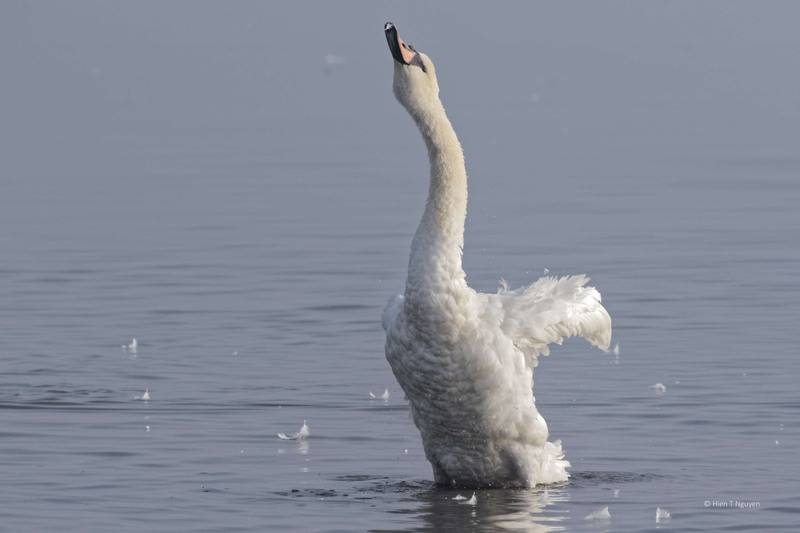 I enjoyed taking these photos, and the swan was very obliging. Really beautiful to see this! beautiful scens. 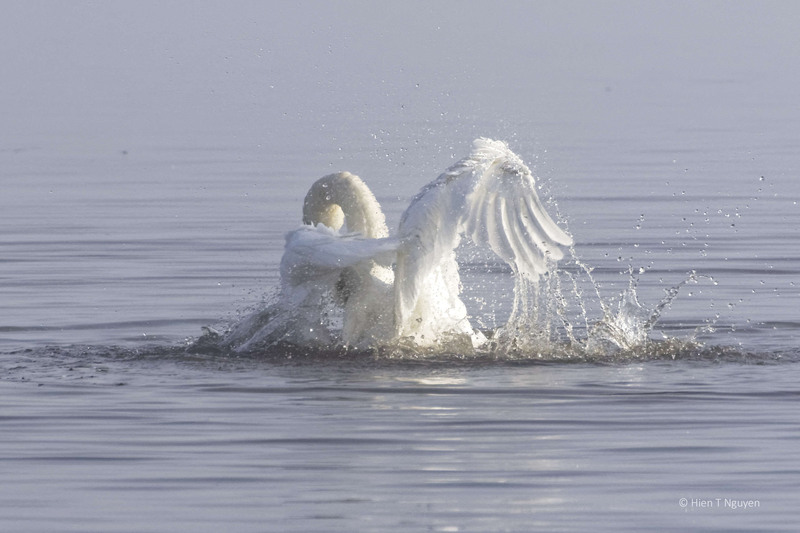 I have never so “wild” swan bath, as you documented this swan lost lots of feather. Beautiful natural scens including the splashes. Enjoyed this posted, what a showboat!! I’d say you were treated to an impromptu performance of Swan Lake, Hien! You are right. I have also been watching Swan Lake on blu-ray. It is more colorful, but this is better. Awesome series, Hien, he/she appears to be having a great time too! This post is just as good as the first, which was awesome! 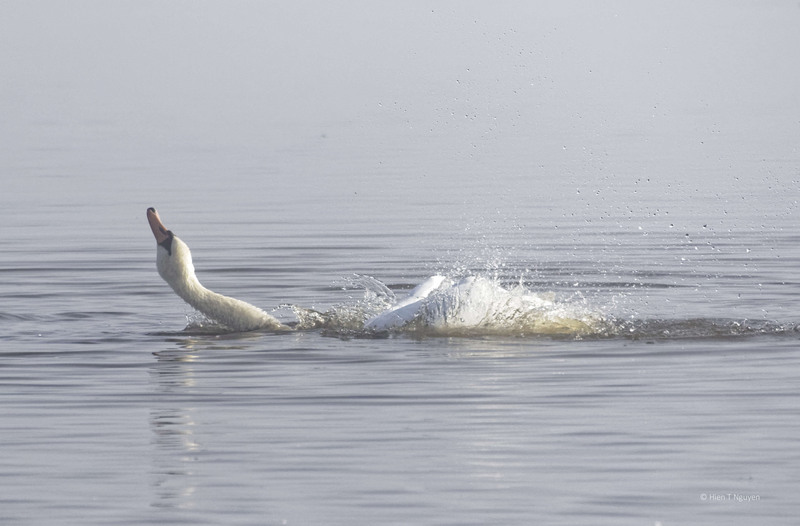 It’s so much fun to see a large waterfowl in action. These birds of really putting on a show for you, great captures! Thanks John! Excellent show, and free too. I agree – a beautiful and funny show! Thank you! Glad you enjoyed these photos. Well taken. Unusual series. I don’t think I’ve ever seen a swan bath. Thank you. Thanks Tim. I had not seen this either, this energetic bathing. Some Canada Geese were also doing it, but the swans stole the show. It looks as though he is so happy to be doing this. You are so good at capturing everything you take. You are right, he was enjoying it, and did not care that I was there, not too far away. What incredible captures! As I have often said you are the master of birds in movement. Lovely! It’s nice to be in the right place at the right time, some of the times. Thanks Sue! Oh my–he put on quite a show for you, Hien! He sure did, for like 15 minutes.